Lahore, the cultural capital of Pakistan, is well known for its art, literature, theatre and music. It is a city with a colourful history and has a plethora of brilliant writers born on its soil, which includes the great Allama Iqbal himself. The city for a while had been craving for knowledge and literature. On the 23rd and 24th of February, the wish was fruitfully fulfilled. 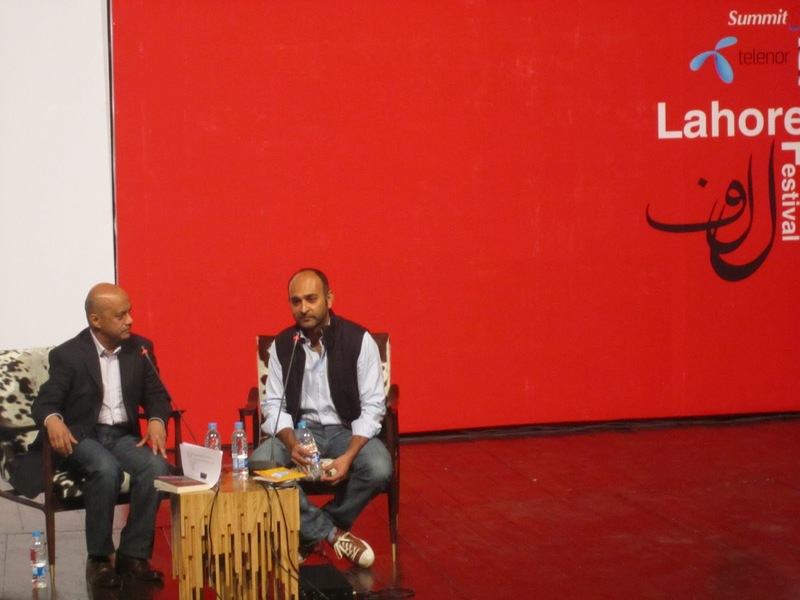 The Lahore Literary Festival took place at the “Al-Hamra Arts Council” situated on the Mall road. The heavy rain didn’t stop the lovers of literature from showing up on the first day of the event. There was a pleasant diversity among each session that was held. However, the truly inspiring part was the presence and the interest partaken by the youth. ‘When the revolution comes they will take your Birkins and turn them into a herd of cows ‘ – Tariq Ali. 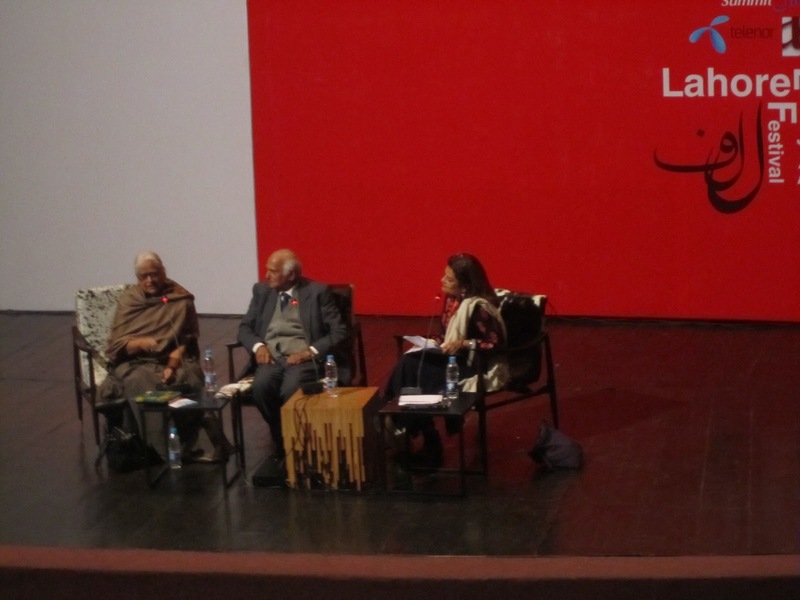 The inaugurating session was conducted at 9:30 am by Tariq Ali on “Politics & culture: past & present”. The area was already swarming with literature-hungry individuals and groups. Tariq Ali, a graduate from the Oxford University UK, is the writer of the Famous “Lion & leopard” and has numerous BBC documentaries to his credit. 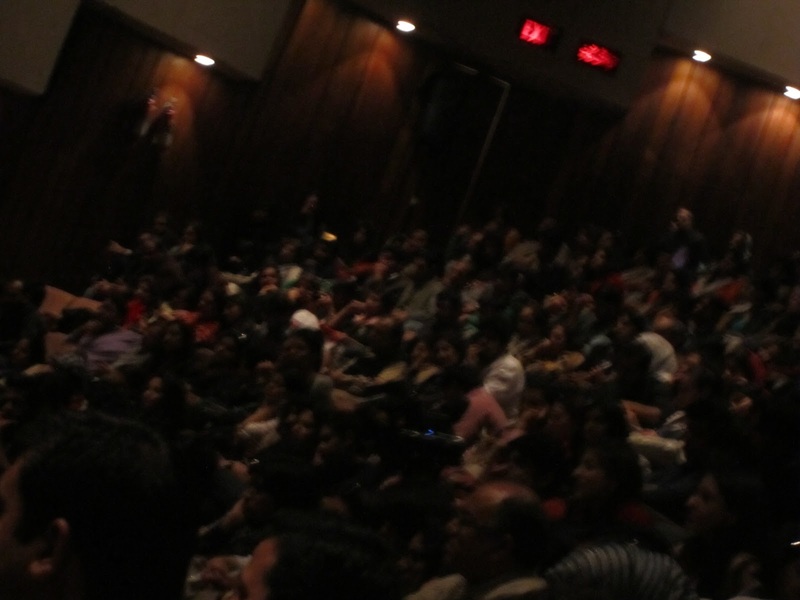 He answered a lot of queries and left the audience even hungrier for the forthcoming sessions. The only highly disheartening part about the whole event was not being able to attend each session as each time slot was reserved for three separate sessions. The crowd was energetic at all times and not once did the numbers seem to decrease. It seemed as if only more people kept coming in to the very end, making it hard to find places to rest. I desperately wanted to attend “The holy warrior & the enemy (1958-2008): film, news media and music in frontline Pakistan” but it was packed up. Instead, I attended “Chinaman: the legend of Pradeep Mathew” with a heavy heart. To my surprise, however, the moment the author and speaker, Shehan Karunatitaka, started talking I was left mesmerised. He spoke of his love for cricket and his endless quarrels with his wife due to his addiction and convinced me which book I must read next. As the sessions changed we got time to interact with others in the same quest of knowledge. Age didn’t matter and each person had a wealth of information to share with each other. The day was followed by sessions like “Globalisation of Pakistan’s literature”, “Pakistan, A modern country?” and “Polemics of time & space 1”. There were the ones I personally attended; you may find the complete list on their website, along with other information. I particularly enjoyed “The Courtesan in Literature – From Umrao Jaan to Gohar Jan”. 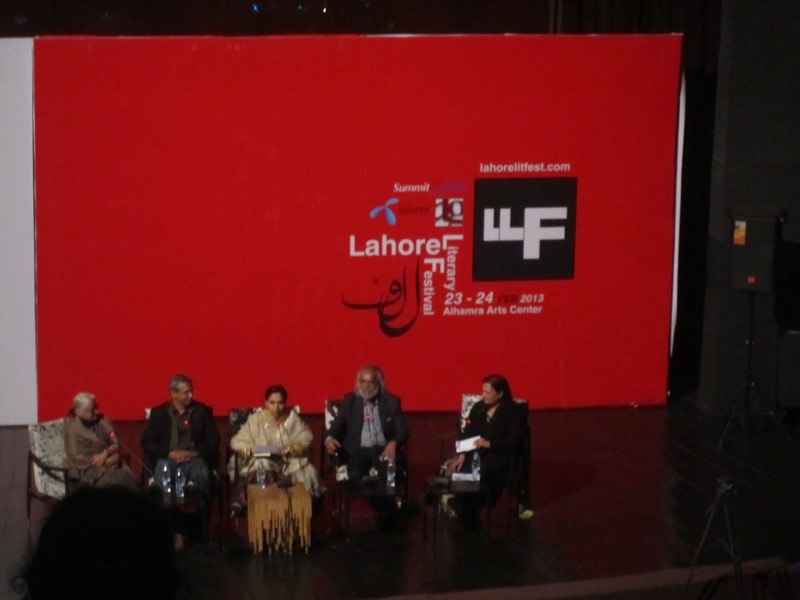 The panel included Afzal Ahmed Syed, Musharraf Ali Farooqi, Navid Shahzad and Zehra Nighat. They described the courtesans who they are different from prostitutes, their journeys, lifestyle and purposes. They also discussed courtesan romanticism, weaknesses and strengths along with the eastern appeal of the character as many directors and writers have made them their subject. It intrigued me to such extent that my imagination took the best of me and I floated the poetry, the prose and their feelings the way one wrote it out. It was truly heartfelt, helping one fall in love with words, making one think that arranging words in a poetic manner can make comprehension of feelings so touching. The day came to an end with a great “Mushaira” followed by “Kahtak” that left the audience applauding with joy only to return with the same zeal the next day. The 24th of February was a bright sunny day that further lifted the spirits for the festival. The day started with “future of Urdu literature in the Punjab”, “commonwealth, nationalism, Globalism: storytelling in the 21st century” then came Manto by Ayesha jalal (his grandchild), she talked about her how Manto wrote about his experiences & nature, he witnessed the partition & was an honoured author pre-partition. She said: “I really think Manto has not been translated adequately yet.” She wrote Manto’s Translation in English & is herself a novelist. Next “how to get filthy rich in Asia” a book by Mohsin Hamid, the books appeal is that it has no names, that just widens the scope of the reader. His “reluctant fundamentalist” is being filmed & will be out in a couple of months. He stated: “there are yellow balloons outside, I wish there were yellow kites instead” this made the audience roar with applause & sigh deeply. “Beyond veil” by Tehmina Durrani was yet another pleasure to attend, & the queues for this one did break the record! Beyond veil is Tamina’s journey through the various phases of her life. painful to bear the consequences of the book when even my own parents disowned me for thirty years. Talking about the changing times said that “I find new generation very open to my book today which is a sign of acceptability”. 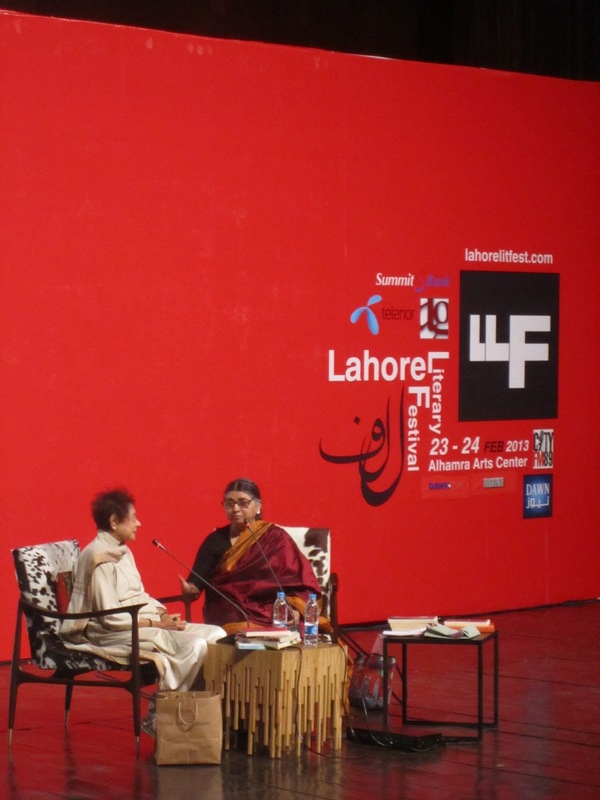 The Conversation with “Bapsi Sidhwa” was indeed the highlight of the Festival, an honour for all who attended it. To listen to her talk so freely & openly about her feelings, encouraging the youth & giving out all the positive points of Pakistan today was heartening. She read form the book Crow Eater (Jungle wala Shaib), talked about the Ice-Candy man (a book based on Lahore). She shared her life journey, love for writing & how she wrote her first novel as a newly wedded bride. 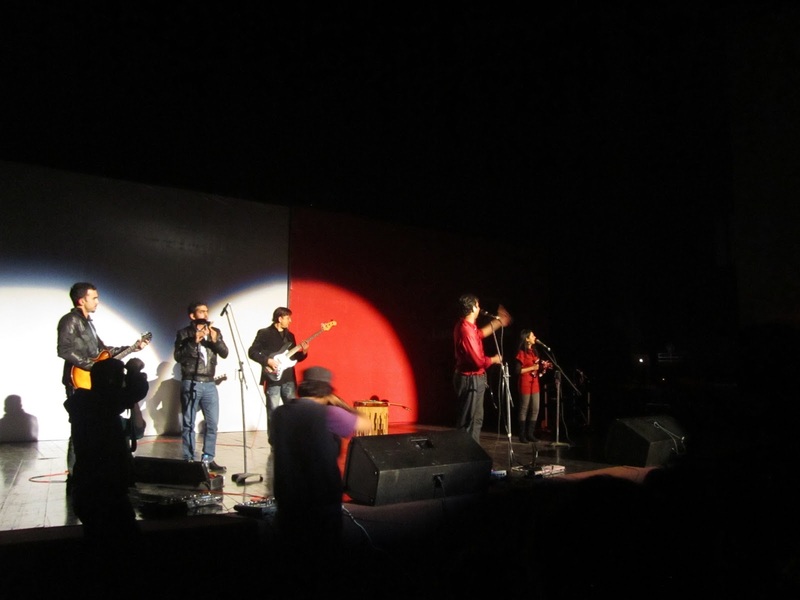 The festival wrapped up with the riveting performance by The Laal Band & Qiyass, everyone danced out all their stress & the emotions bottled up within them, they did leave with regret as a great weekend came to an abrupt end, but with hope for the next one to be a greater one. Pakistan today in this situation showed that it has a great weapon, as Sir Francis Bacon said “Knowledge is Power”, such portrayals of power is very much needed today, by the youth by our nation.